Do you wonder how some people ALWAYS have great images associated with their blog posts when they post on Facebook? Have you spent hours creating a fabulous blogpost, only to share it on Facebook and find out it comes up with crazy images, or no image at all? The very first thing I do after I publish a blogpost is “debug” it for Facebook. Sounds scary and hard! 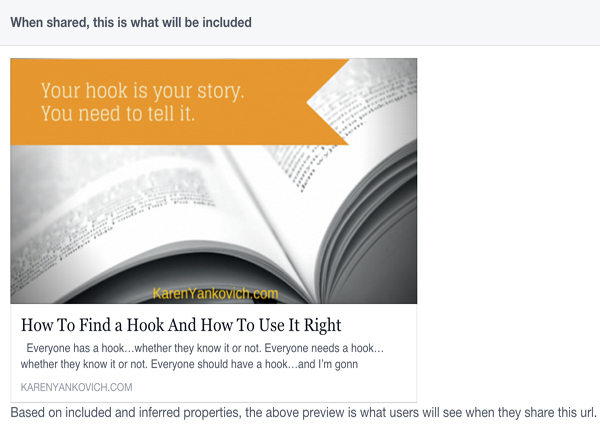 First, grab the URL of your post (select and copy) then head on over here to the Facebook Debugger. Paste that URL into the top “Input URL” box and hit enter. Be sure you use the URL for your specific blog post! Does the photo look correct? Is there a photo there? Does the description caption pull in what you want it to? It should show the first few sentences of your post. Click on “see this in the share dialogue” in order to preview it full in the Facebook screen. Computer gobbledygook from the above debugger method have you stressed out? Here’s another way to fix the Facebook image problem. First do a screenshot of your blog page, or use the image directly from your blog and click on the camera icon or “Add Photos/Videos” tab in your update status screen. Second, type in the first few sentences of your blog post adding “go here to read more!” and add a bit.ly link for the URL. 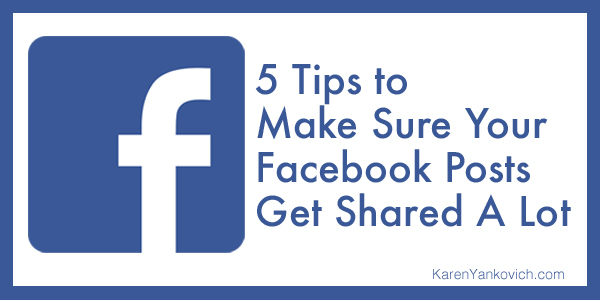 Top 5 ways to make sure that blog post gets shared by others? Make sure you have an image. Make that blog post longer! Over 2000 words is now the most popular post size – who knew? BUT keep the caption (narrative) SHORT, Twitter style short. Create a list that describes your post, lists get shared the most over any other type of post. Post to Facebook on a weekday. Include a call to action. Ask people to share, dare them to share, entice them to share and they will. Check out this article by Facebook for some great information as well as examples, and be sure to read the infographic example near the top, humor will snag those shares every time! Did you try it and it STILL didn’t work? Join my LinkedIn group where we talk about all things related to social media marketing and ask away! Good stuff! Thanks for sharing…you answered 2 questions that plagued me!